Please accept my blessings. I beg to acknowledge receipt of your letter dated August 24, 1973. I have noted the contents carefully. The next verse continues, “And when one is in full consciousness of the Supreme Lord by such devotion, he can enter into the kingdom of God.” It is further stated in the Gita that when one is so situated even in the midst of greatest danger he is not disturbed. In other words when one has achieved perfection in chanting the Holy name of God he is always joyful, even death does not disturb him, what to speak of other things. The conclusion is that one should learn the art of chanting the Holy name of Krishna 24 hours a day and that alone is the remedy for all problems of material existence. How is it possible to chant 24 hours a day? 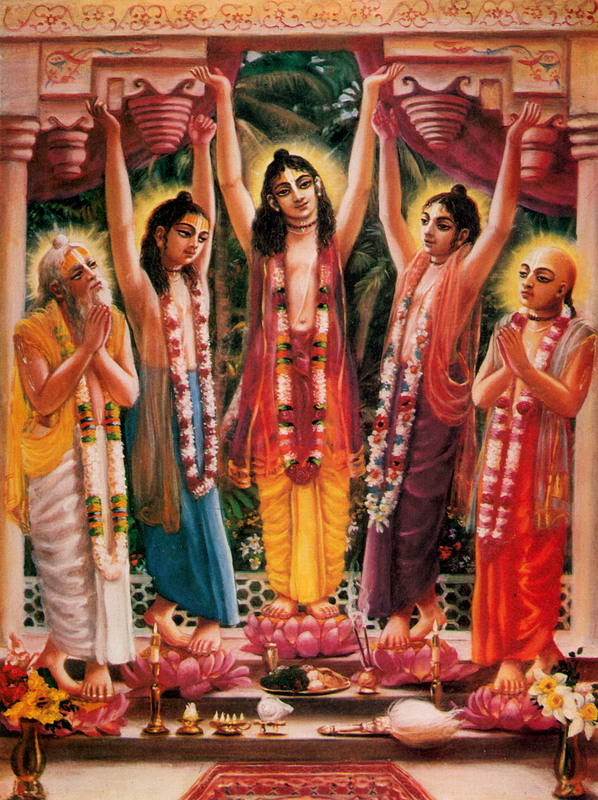 Lord Chaitanya gave the hint, “One can chant the holy name of God in a humble state of mind, thinking himself lower than the straw in the street, more tolerant than a tree, devoid of all kinds of sense of false prestige, and always ready to offer all respects to others. In such a humble state of mind one can chant the Holy name of God constantly.” So I cannot give you any better advice for your problem, simply chant Hare Krishna and everything will be all right. I hope this letter meets you in good health.